In this week's Muster you'll find details about many important actions, including an opportunity to gather signatures to help overturn Citizens United at the Farmers Market and other convenient locations. It also shines a spotlight on our new daytime "Weekday Warriors" - if daytime meetings are easier for you, we hope you'll join this new group! Check out MI happenings and Upcoming events to see what our teams are planning and read about our participation in the Right to Health Bootcamp, WAVE of Women Day of Action, and Drinking Liberally meetup last week. Thanks for all your efforts and keep resisting! Our new daytime team met jointly with the existing Weekday Warriors group begun by Indivisible MA District 5 on Wednesday Oct 11 at the Robbins Library in Arlington. We discussed ways to write effective letters to the editor and the policies for submitting them to the Boston Globe and our local newspapers. 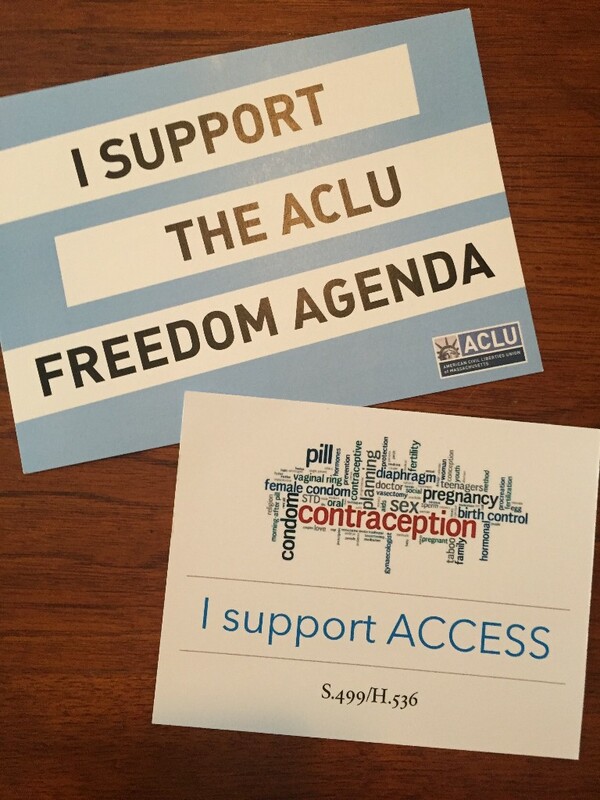 Laura from Indivisible MA District 5 designed beautiful postcards supporting the Contraceptive ACCESS legislation in Massachusetts (S.499 and H.536) and we used them to send personal messages to our State Senators and Representatives. We also filled out postcards supporting the MA ACLU's Freedom Agenda. Kim, from People Govern, Not Money, explained how to gather signatures for a ballot question to support a constitutional amendment to overturn Citizens United and provided signature sheets. We also reviewed what each of our Indivisible groups is currently working on and discussed future actions for the daytime group including possible visits to our MoC. 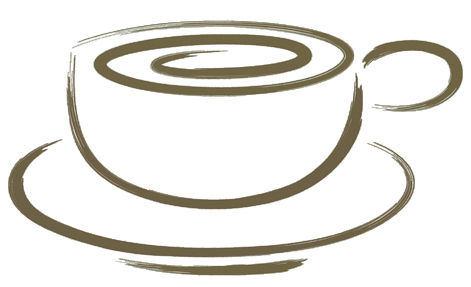 We plan to meet monthly and will be announcing our next meeting date soon. If you're interested in being part of our group, just use this form to let us know. Trump signed two Healthcare Executive Orders last week which will drive up premiums and put coverage at risk for at least a million Americans. One EO implements new regulations expanding the availability of association health plans and short term insurance plans, and the other eliminates cost sharing reduction (CSR) payments. These new orders will destabilize the ACA Insurance marketplace as association health plans and short term insurance plans are not subject to the same coverage requirements as other ACA plans. Eliminating the CSR payments will raise insurance costs for middle-low income citizens who benefited from lower premium costs/deductibles. Both of these actions will sabotage our health care system! The Congressional Budget Office found that cutting off CSR payments would result in premiums spiking by 20%, one million fewer people having insurance, and a $194 billion increase in the deficit over the next decade. Call your MoC and urge them to pass legislation to stabilize the insurance market and ensure that the ACA's cost-sharing subsidies are fully funded. More information and call script here. In a democracy, all votes should count equally. In our democracy, when voting for the president, they do not. Because of the winner-take-all allocation of electoral votes, if you don’t vote for the candidate who wins your state, your vote counts for nothing. That violates the Constitution’s “one person, one vote” principle. Equal Votes plan to challenge this system in the courts. Join this fight for citizen equality. Read up on this lawsuit contending that President Trump's business dealings with and in foreign countries violate the Constitution which is set to get a public airing in October in a New York federal courtroom. U.S. District Court Judge George Daniels issued an order setting oral arguments for Oct. 18 on a suit the liberal watchdog group Citizens for Responsibility and Ethics in Washington filed in January. The suit argues that Trump's business ties run afoul of the Constitution's foreign emoluments clause, which bars federal officials from receiving benefits from foreign governments. We applaud Governor Baker's opposition to the White House's decision to end cost-sharing reduction payments under the Affordable Care Act and for going on record that he would sign the bump stock ban if it crosses his desk. On the other hand, we are still concerned about his legislation to override the SJC decision related to detaining immigrants. Call Governor Baker at 617-725-4005 and tell him that you support his opposition to reducing the cost-sharing payments and to bump-stocks, but that he needs to reconsider his immigration stances. 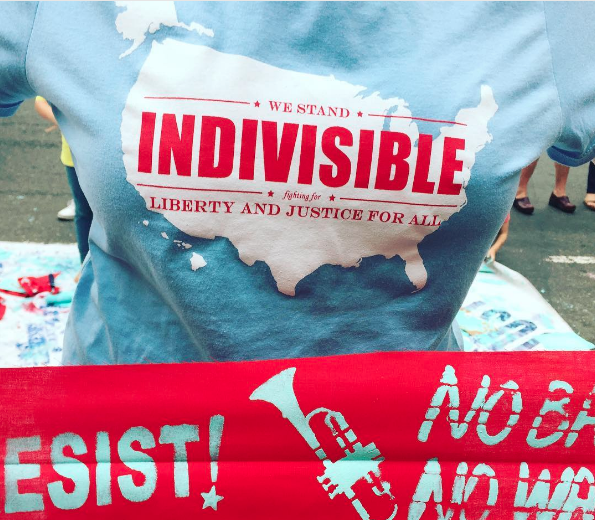 Indivisible now has a blog with information about allies, Indivisible, and Indivisible groups. Check it out! There are posts by Indivisible policy directors, other Indivisible groups, and more. Nothing says "Good morning" like checking out what other groups are doing! Come help People Govern, Not Money gather signatures for a ballot initiative to help overturn Citizens United and get big money out of politics. They need to collect 90,000 signatures by Nov 22. This is a short, intense campaign that requires all hands on deck. Jump in and help in this historic effort. They have a great network of support and action and would love to have help. They will be at the Lexington Farmer's Market for the remaining Tuesdays in October and at other nearby locations including the Burlington Mall. Check their home page for an updated schedule of where they plan to collect signatures and sign up to help using this link. You've heard of the Koch Brothers, the Mercers, and Betsey DeVos. Now come learn how they have been spending their money for years to affect our democracy. Save these dates for the next MI Book Club meetings at the Lexington Community Center: Tuesdays Oct. 17 and Nov. 14. 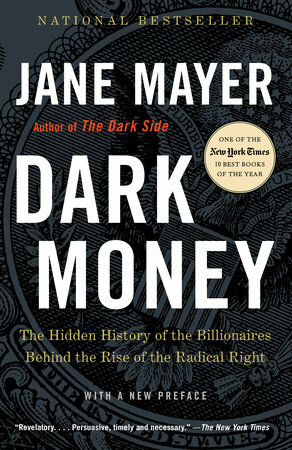 Both nights we’ll be discussing “Dark Money” by Jane Mayer and “The Third Reconstruction” by Rev. William Barber. Join us even if you haven’t had a chance to read the books or can make only one of the evenings - we'll provide a summary of the books. Rev. Barber will also be speaking in Boston this Thursday, October 19 at Trinity Church in Copley Square - you can watch it online if you can’t be there in person. See this link for more information. On Friday, October 27 from 8-10AM, the Elections team is hosting Chrissy Houlahan, candidate for the US House for PA 6. Chrissy is endorsed by Seth Moulton, the DCCC, and Emily's List. She is also one of the four candidates the Elections team has selected for our support. Come meet her and contribute to the effort. Use this link to RSVP. 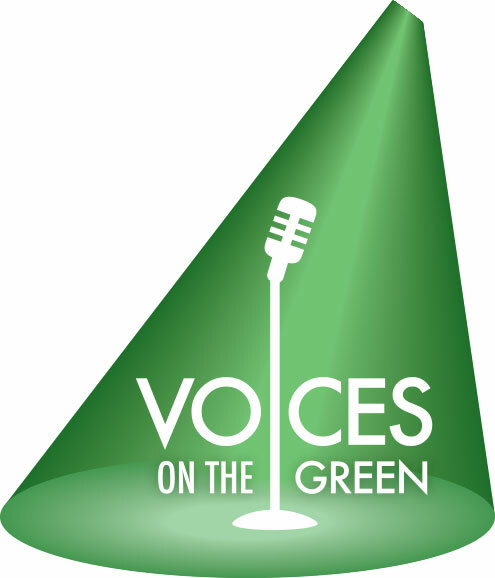 On Saturday evening October 28, First Parish Church will be presenting a program entitled “I Protest,” as part of its Voices on the Green series. Our own Michelle Olson will be speaking about the founding of Minuteman Indivisible along with other Lexington residents who will be discussing the 1971 protest against the Viet Nam War on the Lexington Green and the writing of the protest song “Charlie and the MTA.” The evening will include music and refreshments. Doors open at 6:30pm and tickets can be purchased using this link. Suggested donations are $10 for general admission and $5 for students. Proceeds from the event will be shared between First Parish Church and Communities for Restorative Justice. Questions about the event can be emailed to this address. 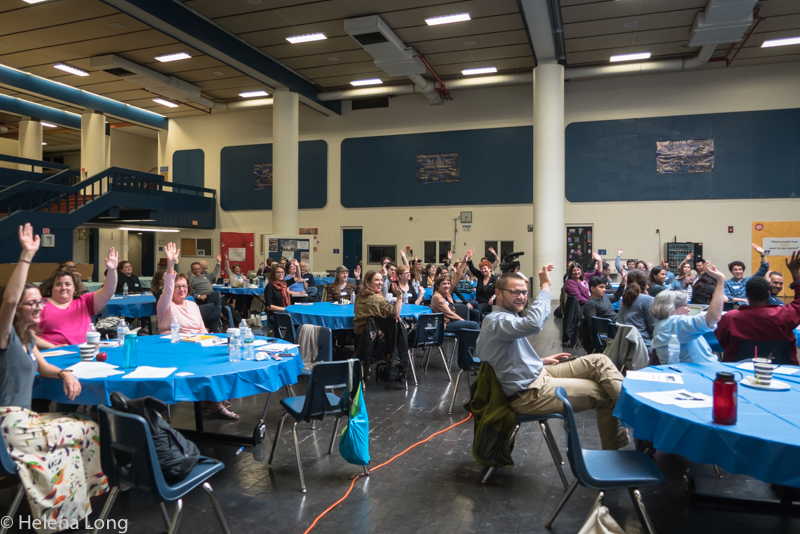 On Saturday October 14, MI members joined dozens of other activists for an all day Right to Health Organizer Bootcamp held at Minuteman High School in Lexington. 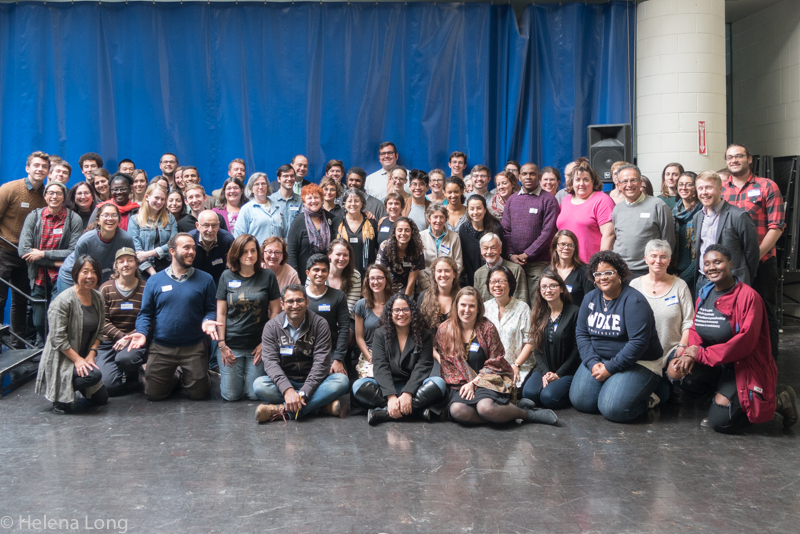 More than 90 attendees built new relationships, developed skills, and are now better equipped to demonstrate to our MA Legislature just how much support Medicare for All and Single Payer healthcare command! Now it's time to put this new capacity into action - plan to join us at the Right to Health MA Lobby Day November 14th, 10am-12pm, at the Statehouse. Members of Minuteman Indivisible are always up for making waves, so we were thrilled to participate in WAVE'S Day of Action! WAVE stands for Women Acting Visibly Everywhere, and as in the Women's Marches, individuals from across the state and the political spectrum were invited to become visible in their communities, make their voices heard, and participate in collective civic action. 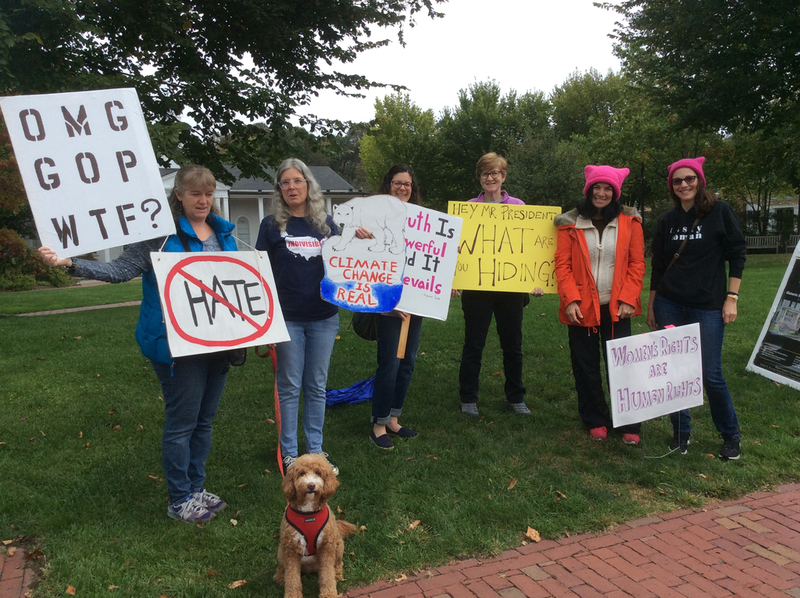 Minuteman Indivisible supported WAVE's Day of Action by gathering at Depot Square in Lexington and spending 30 minutes holding signs and talking to local residents and tourists visiting the Lexington Battle Green. 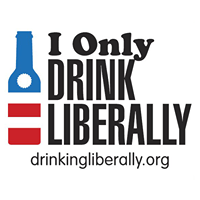 On Oct 10, the Democracy team attended a meeting of Drinking Liberally held at Margarita's in Waltham. The group meets monthly and draws people from surrounding towns. DL provides a "haven for like-minded individuals to vent their frustrations with politics, learn more about how to effect positive change in the world, and connect with new friends over drinks and food," which perfectly describes the organization! Sometimes they have speakers, this month they did not. The team had a great time connecting with like minded individuals and we were able to put out the word on upcoming MI events. Hopefully, we can attend future meetings and bring events like this to MI. 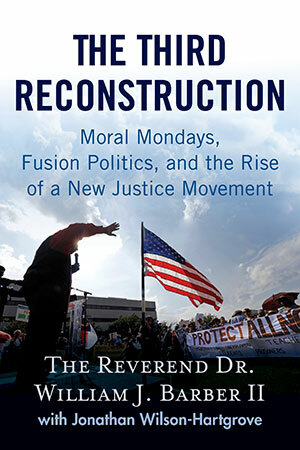 Join us as we begin discussing "Dark Money" by Jane Mayer and "The Third Reconstruction" by Rev. Dr. William J. Barber. You can use this form to RSVP or to indicate books you’d like to see us discuss in the future. Thanks to big money in politics and corporate power, many people think that our democracy is broken. Come to this educational presentation sponsored by We the People Massachusetts, who are supporting a bill in the Massachusetts legislature calling for a constitutional amendment, and find out what you can do about this problem. 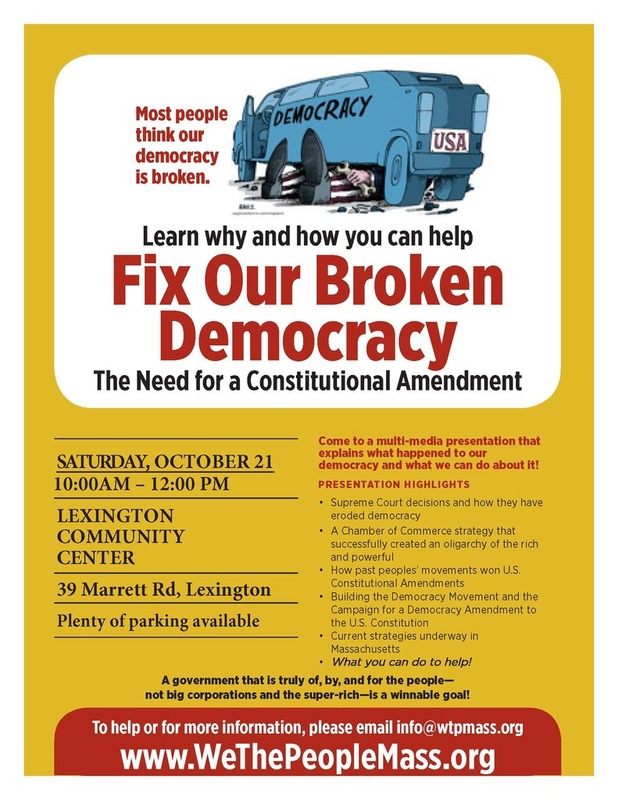 The presentation will highlight Supreme Court decisions and how they have eroded democracy, how past peoples' movements have won U.S. Constitutional amendments, and how you can help achieve a winnable goal. More details and registration information here. Representative Kaufman invites all interested residents to join him at his next "office" hours at Panera Bread in Lexington Center. Stop by to discuss policy, raise questions, address concerns, or simply chat. Meet with Senator Barrett to discuss three ballot questions - The Fight for $15.00, Paid Leave, and the Mass Fair Share Amendment - and the MA Foundation Budget for education and learn how we can work together on these issues. The Concord Festival of Authors is hosting Cass Sunstein, author of Impeachment: A Citizen's Guide. 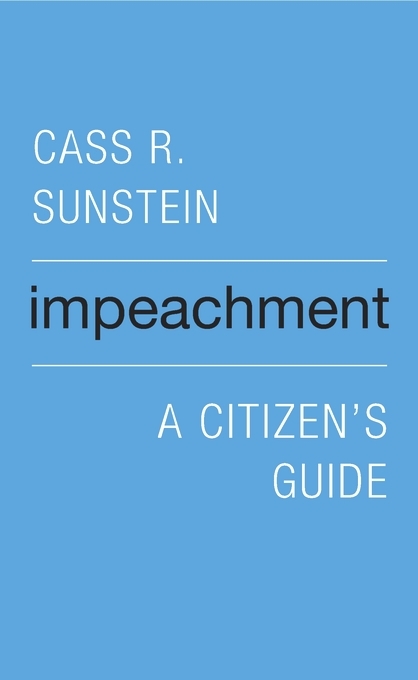 This book provides a succinct citizen's guide to an essential tool of self-government, illuminates the constitutional design behind impeachment, and emphasizes the people's role in holding presidents accountable. Join us for this event and wear your Indivisible t-shirt! The Elections team is hosting a breakfast for Chrissy Houlahan, candidate for the US House for PA 6, and one of the four candidates the Elections team has selected for our support. Come meet her and contribute to the effort. Use this link to RSVP. First Parish Church will be presenting a program entitled “I Protest,” as part of its Voices on the Green series. Our own Michelle Olson will be speaking about the founding of Minuteman Indivisible along with other Lexington residents who will be discussing the 1971 protest against the Viet Nam War on the Lexington Green and the writing of the protest song “Charlie and the MTA.” The evening will include music and refreshments. Doors open at 6:30pm and tickets can be purchased using this link. We'll be preparing for the Right to Health MA Lobby Day on 11/14 and discussing a variety of actions including a social media media push in November to make people aware of the open enrollment period for 2018 healthcare coverage that runs from 11/1-12/15/17. 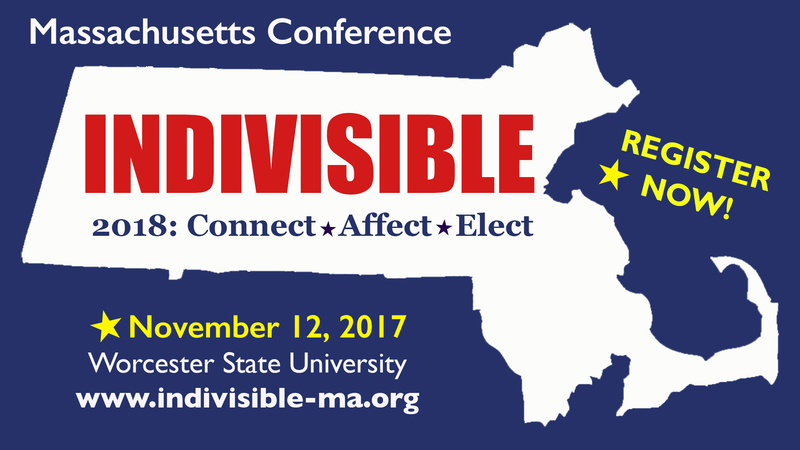 Register now for this conference which is for Indivisible members across the state of Massachusetts. This will be a full day event with specialized skills development workshops as well as networking opportunities. The goal is to make us all more connected and effective in our activism. There will be a special focus on preparing for the 2018 election cycle, just around the corner. Check the Conference Website, Facebook page, or Twitter feed for the latest updates. Can’t make it to the conference, but want to help support our efforts? You can donate using this GoFundMe page. Join hundreds of single-payer supporters from across Massachusetts at the State House for the Right to Health MA Lobby Day, a day of education, demonstration, and legislative advocacy. The day will include informative sessions on the concept of single-payer healthcare, as well as specifics on current legislation. Attendees will also have a chance to meet with their elected officials one-on-one or in small groups to express why they are concerned about this issue.